This week I had the chance to test out the new Razer Taipan gaming mouse, and let me say that it’s one of the best overall performing gaming mice in the mid-range price level. The mouse comes with Razer’s Synapse 2.0 software, which allows you to customize the mouse for different games and programs. I went ahead and customized mine for WoW and CS. The software lets you adjust the mouse wheel, set the lighting settings, and create custom profiles for 9 programmable buttons. The software was easy to set up and took me no more than 10 minutes. If you aren’t familiar with Razer’s Synapse software, all you need to know is that it enables you to configure your hardware with online cloud support, which just means that you can customize everything about your mouse and have it saved in the cloud. I can’t complain. The hyper response buttons are also a plus in my book. They’re “hair-trigger” sensitive, which means they’re faster and more accurate. The mouse has highly durable micro switches to provide a pronounced tactile feedback to your fingertips with each actuation. But this also means they’re more sensitive than standard mice buttons, so if you’re not used to using a mouse with highly sensitive buttons the Razer Taipan could be a new adjustment. If you find yourself in this boat then don’t worry too much, because it will pay off in the end. The Razer Taipan also has side buttons on the left and right to accommodate left- and right- handed gamers. Design-wise, I have to say I love the Razer Taipan for a few reasons. For one, the shell is round and symmetrical, which makes it ideal for both left- and right-handed players. There’s nothing out of the norm here and in my experience that makes for the most ideal ergonomics. I used the palm, finger-tip, and claw style grips for the mouse and all of them were equally comfortable. For mid-sized as well as most small and large sized hands, this mouse is perfect. The braided cords prevent common tangles but, like with all braided cables, it runs the risk of getting snagged on things. The rubberized side grips are also a nice touch to improve grip. The metal mesh under the right/left click buttons adds a nice gamer aesthetic to the mouse too. The 8200 DPI 4G laser sensor is nothing to brag about but it gets the job done right. It’s a pretty advanced laser sensor and its tracking was very precise. I was able to hit targets in CS and WoW with little to no effort. Razer also gives you the option to calibrate your mouse to a specific surface and adjust cut-off to lift-off tracking. I found both of these options to make for a superior gaming experience and broaden the horizons for gamers with a particular taste. Before I get into some of the flipsides to the Razer Taipan, let me remind you why I value optical sensors over the laser and hybrid sensors nearly any time I’m given the chance to compare the three. It all comes down to reliability and accuracy, which optical sensors are superior in just about every regard. It’s no more complex than that. 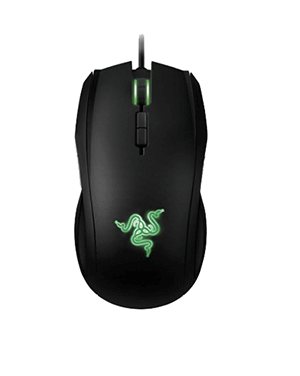 While the Razer Taipan is no poor-performing mouse, its performance is considerably less due to its laser sensor. The only downside to the mouse’s software is that it’s a bit laggy and choppy at times. Despite its laser sensor and the laggy software, I found the Razer Taipan to be a great performing mouse for the price range, its marketing efforts, and its specifications. It wasn’t particularly amazing for the FPS CS nor was it for WoW. However, it was equally great performing for both games in general so I appreciate the mouse for its well-rounded and diverse capabilities. 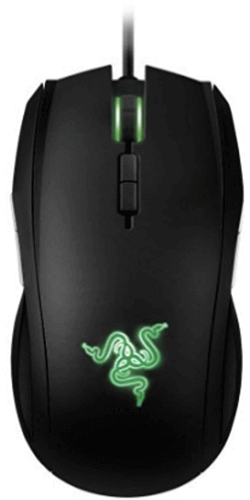 I would choose it over most other mice in its price range, but if given the chance to have several mice, each for a specific game then I would have to pass on the Razer Taipan. 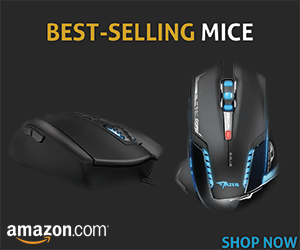 Don’t let that stop you from trying it out if you have the chance to though, because it is an overall excellent mouse with a lot of potentials.